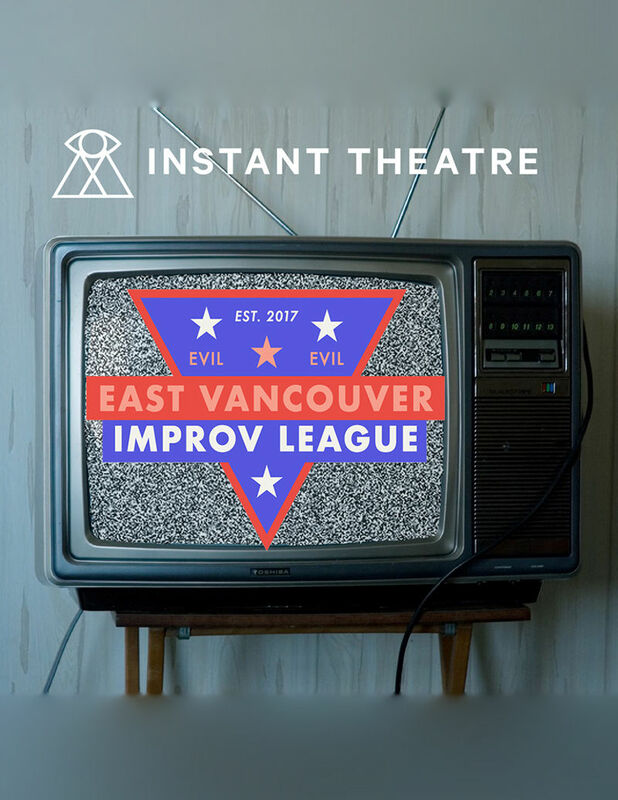 Instant Theatre is proud to present the East Vancouver Improv League! Come witness a high-octane battle between two SUPERGROUPS made up of the finest improvisers Instant Theatre has to offer. The improv will be fast, the competition will be furious, and the laughs will be non-stop! You’ll be glued to your seats as our veteran sports broadcasters, Geoff and Ese, guide you through the action spewing minefield that is the EVIL Games! Come see some of the finest and funniest improv East Vancouver has to offer every Sunday night at 7:30pm. Then, upgrade your ticket to the late show for only $2 more!